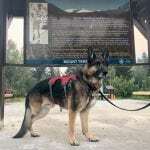 Tripawd Wyatt gets to know the Canadian Cancer Hero Terry Fox, and how much he did to raise awareness of cancers like osteosarcoma so that a cure can be found and no more Tripawds lose their leg to the disease. 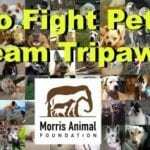 Tripawds Spokesdog wants you to join Team Tripawds and help fight canine cancer with Morris Animal Foundation on Saturday April 24 2016. 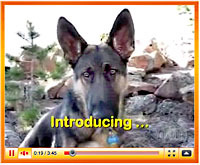 Three legged rescue tripod dog Wyatt plays at the Estes Dog Park and at the Morris Animal Foundation K9K Canine Cancer Walk in Colorado.